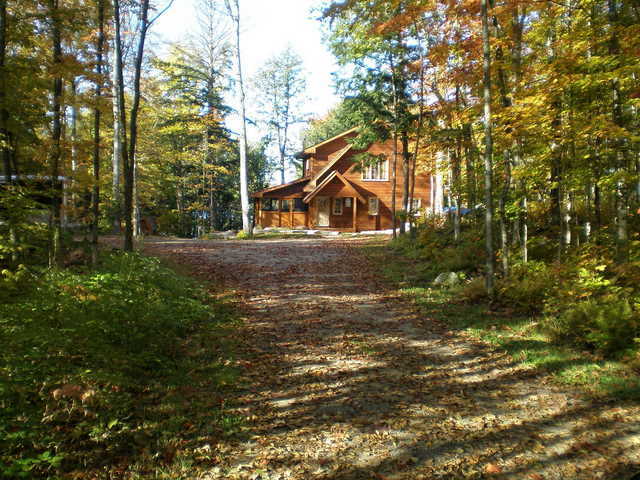 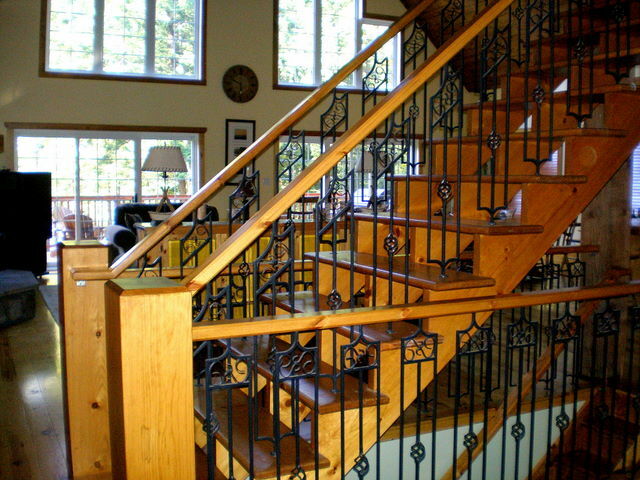 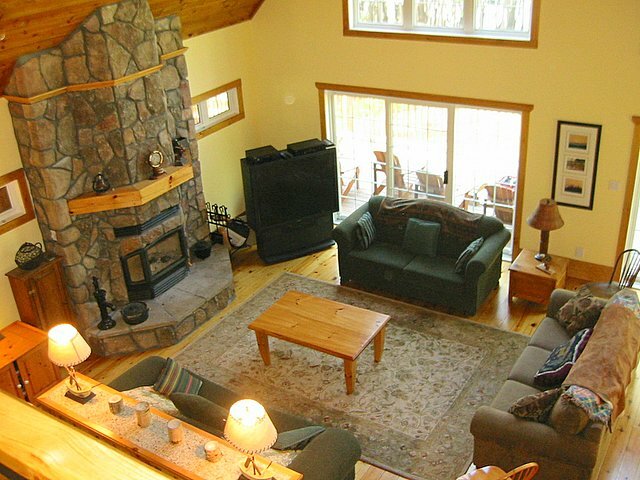 This fabulous 4 bedroom cottage with very good privacy, large decks, and huge Muskoka Room, has a great room that is centered around the floor to ceiling stone fireplace. 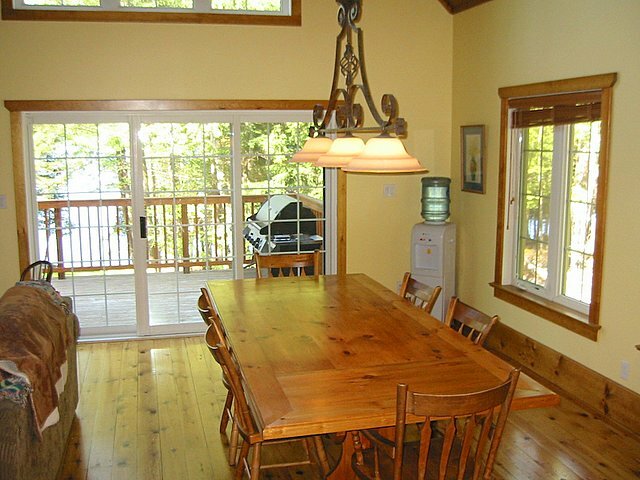 Beautiful pine floors, vaulted pine ceilings, fine furniture and custom kitchen cabinetry adorn the main floor open concept living area. 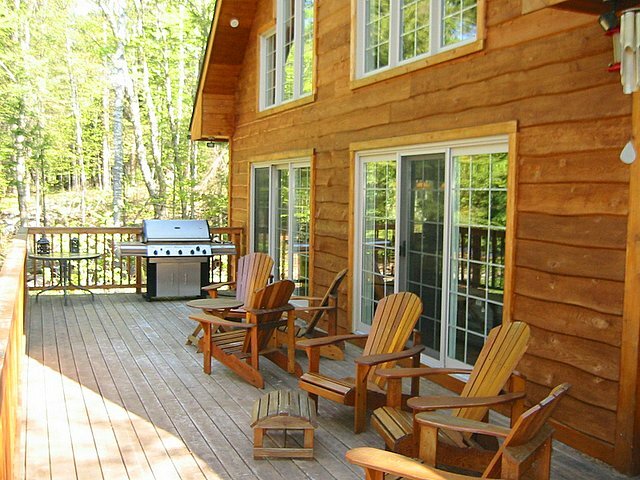 Multiple walkouts lead you to the large deck area that has a number of Muskoka chairs and loungers. 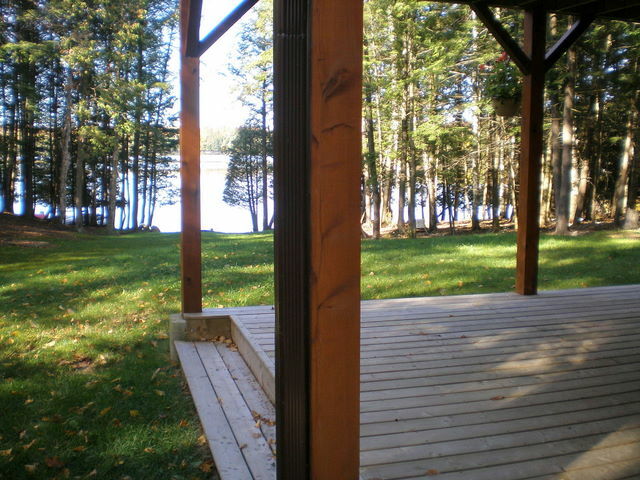 This is the perfect spot to gather socially or just to sit back and relax with a view out over the waterfront. 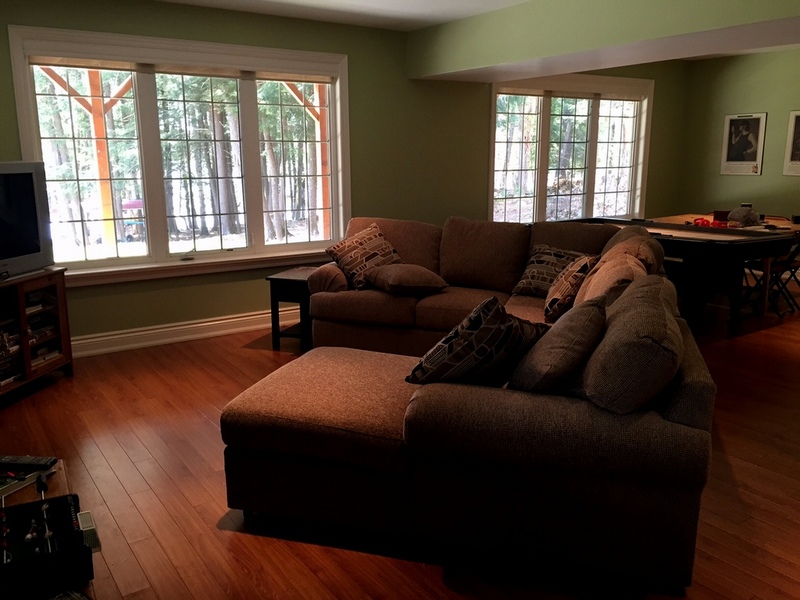 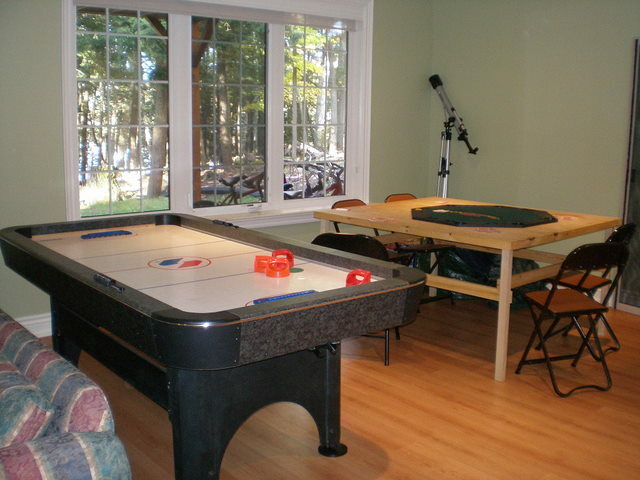 The screened-in Muskoka Room will be a welcome retreat should the weather decide not to co-operate. 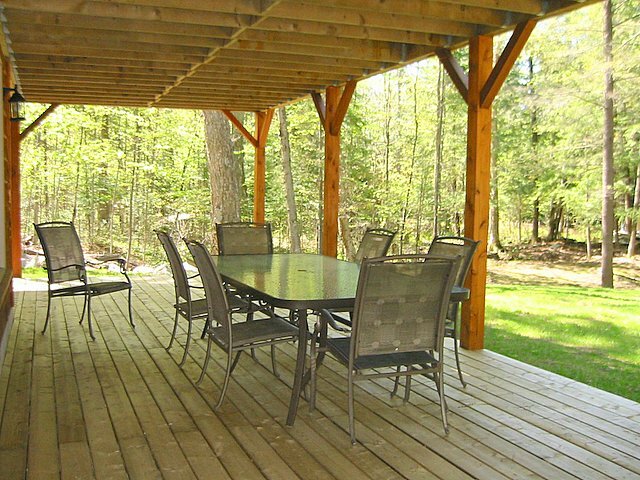 There is another separate deck on the lower level, complete with patio set to create an area in the shade for some welcome relief during the heat of the summer, as the cool breeze drifts in off the lake. 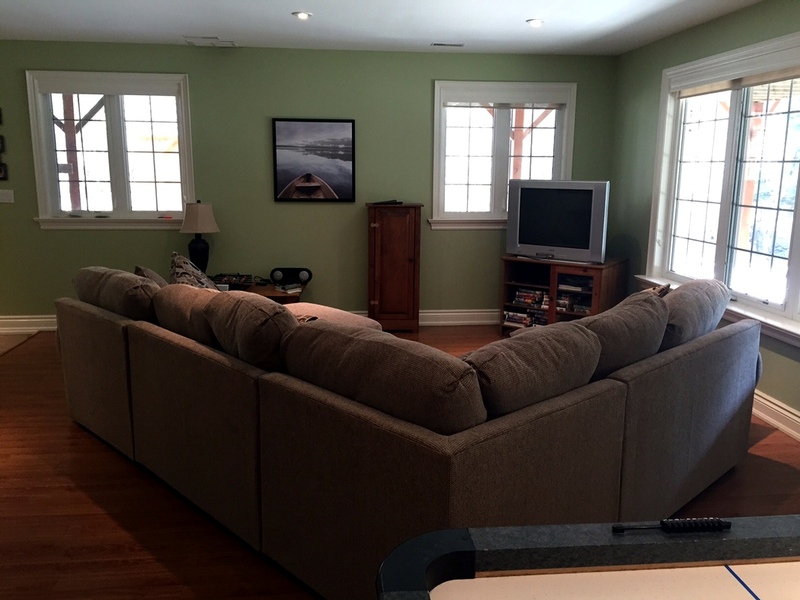 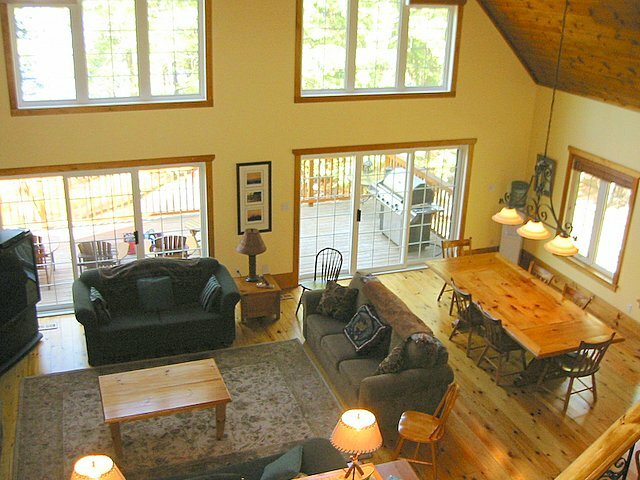 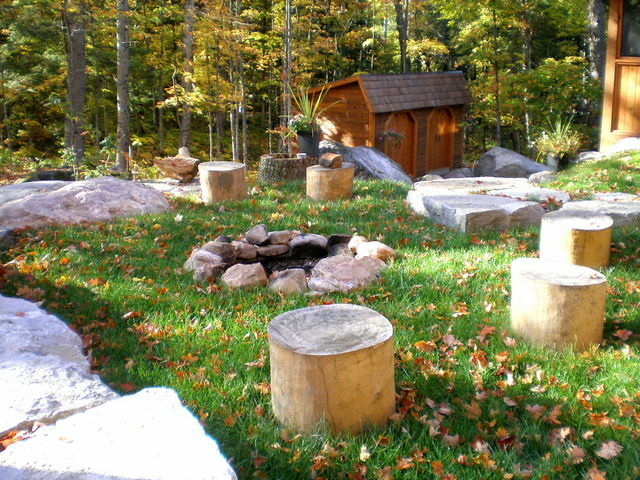 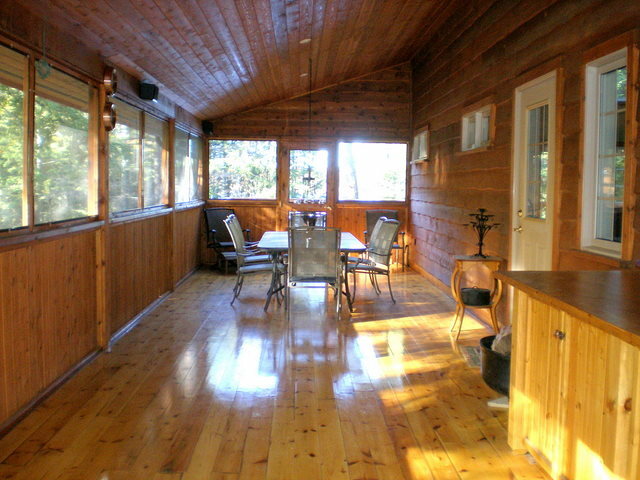 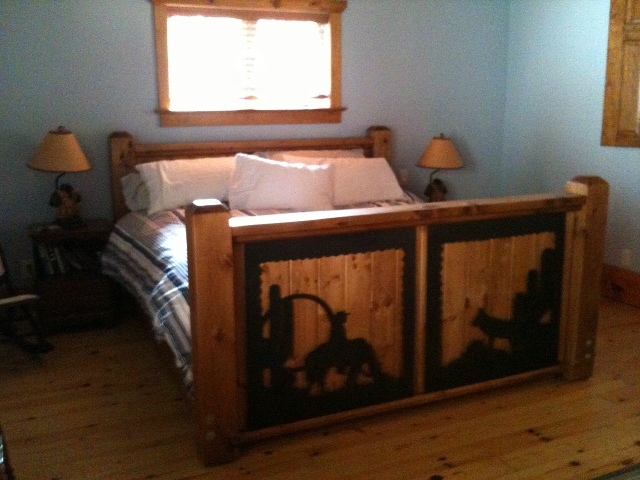 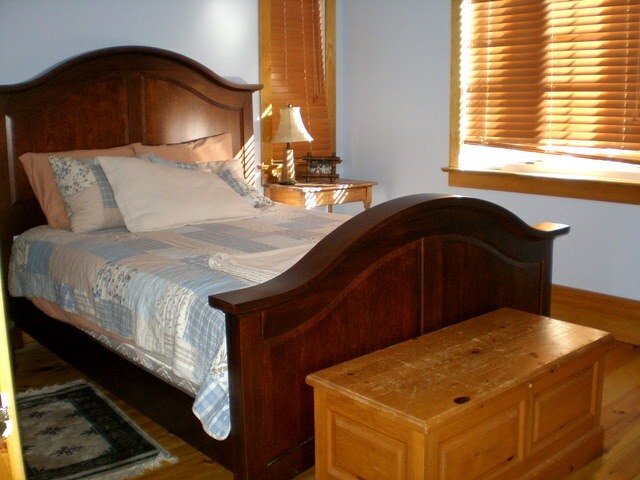 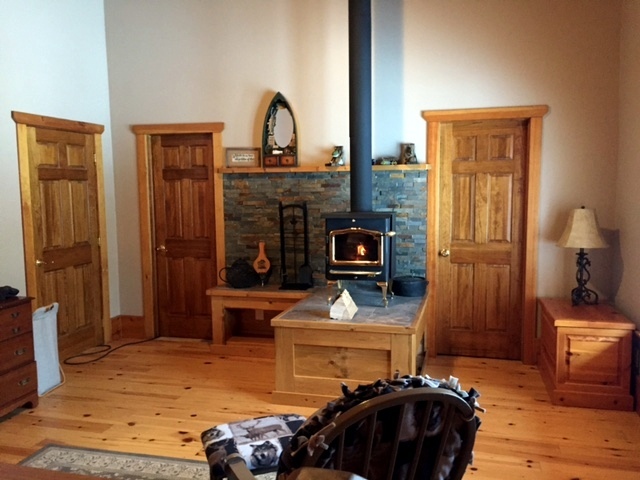 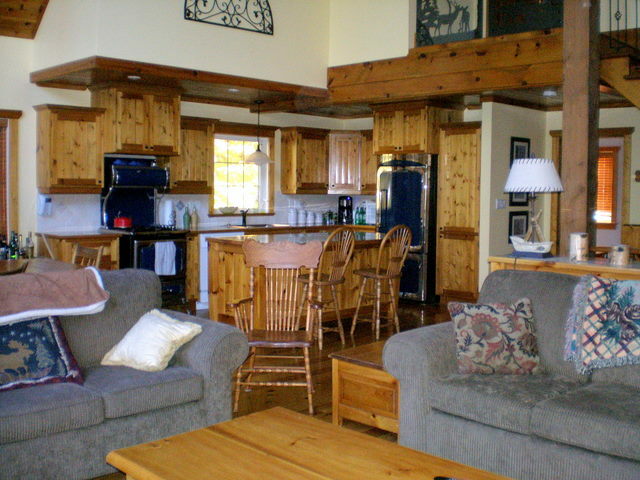 Inside the cottage, there is plenty of space with a large living room area and a separate rec room in the lower level. 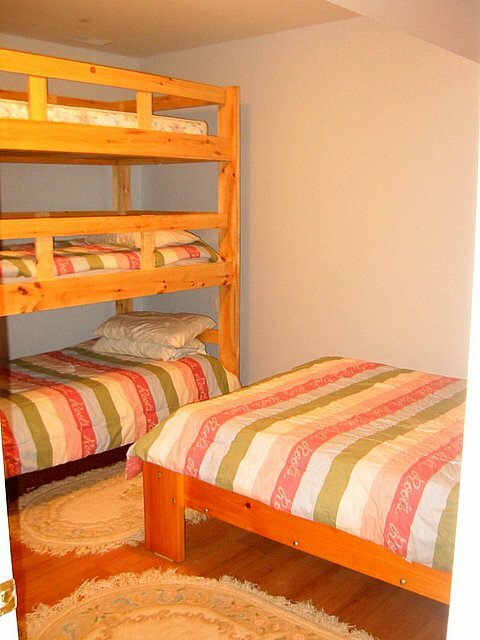 The large master bedroom is located in the private loft area and features an ensuite, plenty of storage space and your own TV with satellite. 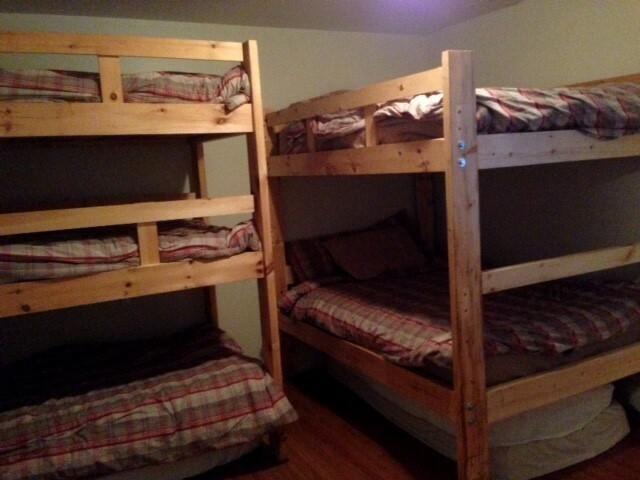 The kids rooms in the lower level are quite unique with their "triple bunks" which will allow the kids to truly enjoy the experience of sleeping at the cottage. 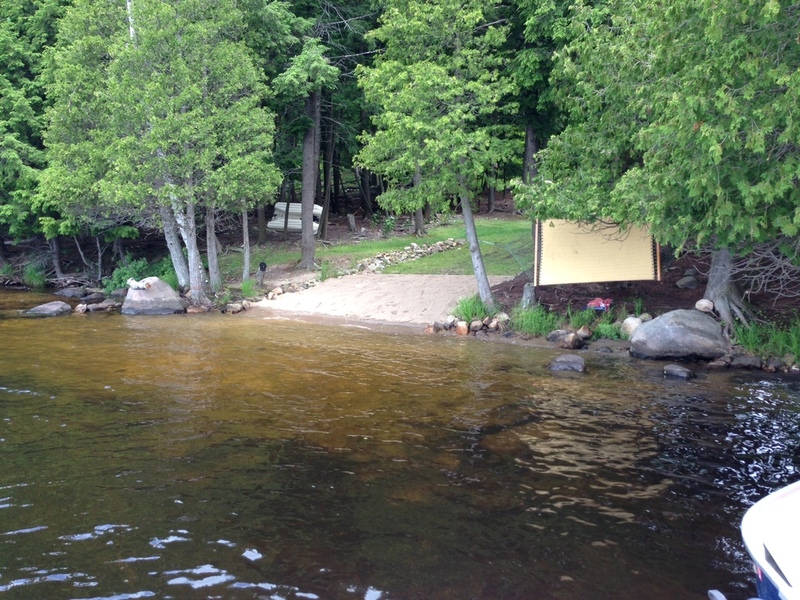 The waterfront has a small sandy beach area with shallow entrance to the water, and the large dock area provides ample room to lay out and enjoy the sunshine and watch fantastic sunsets. 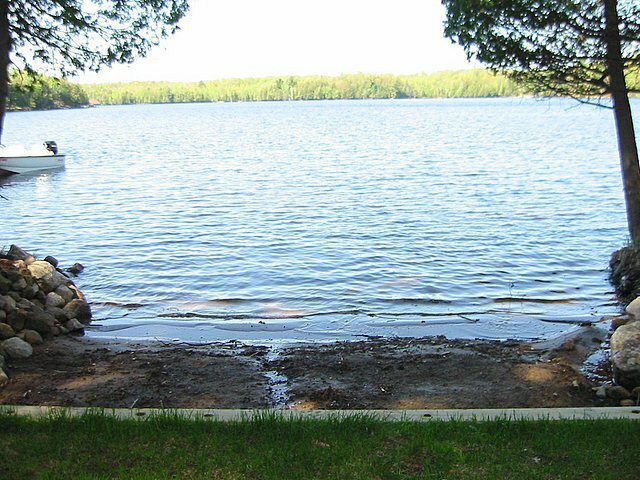 Experience over 40 miles of boating and fishing throughout the lakes of Ahmic and Cecebe. 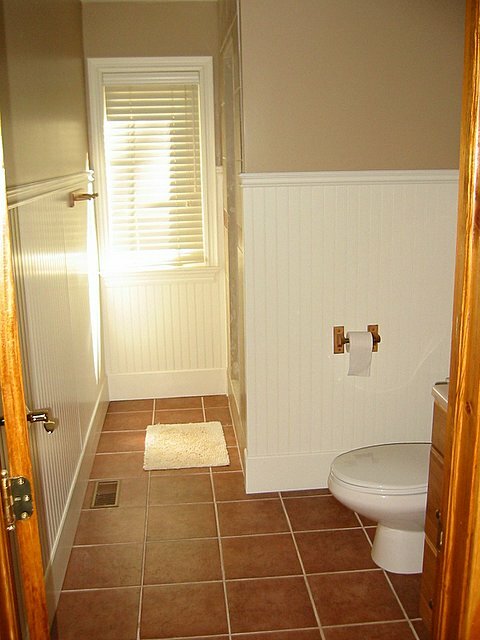 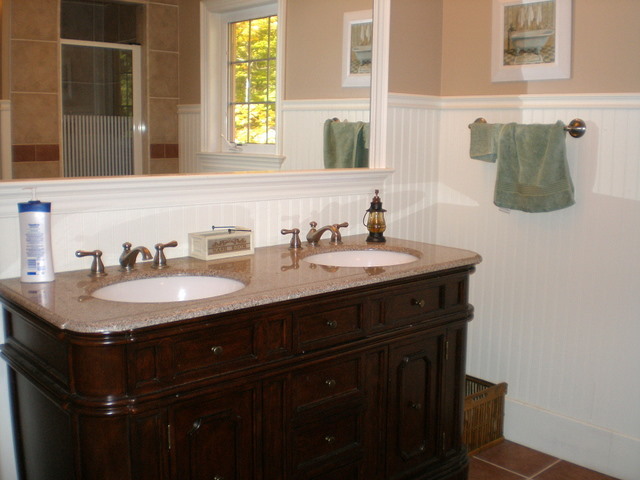 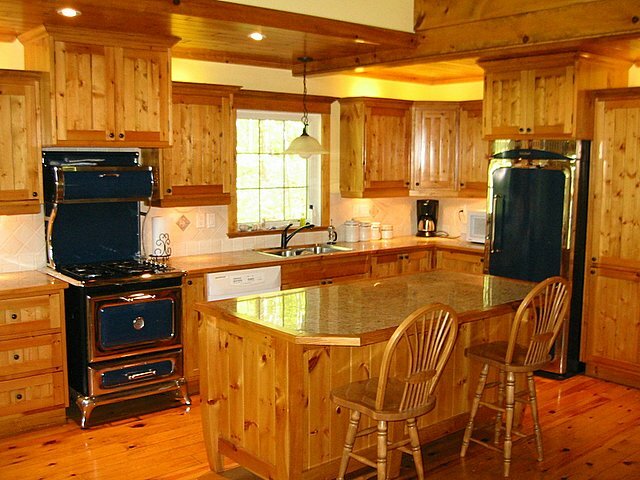 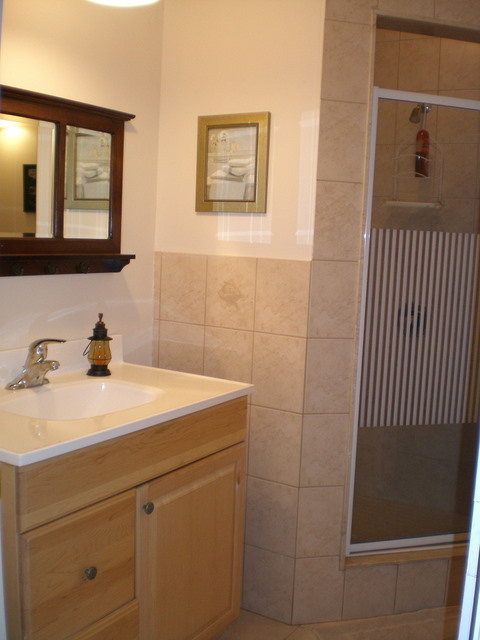 This newly constructed cottage has many fine features to please the most discerning tastes. 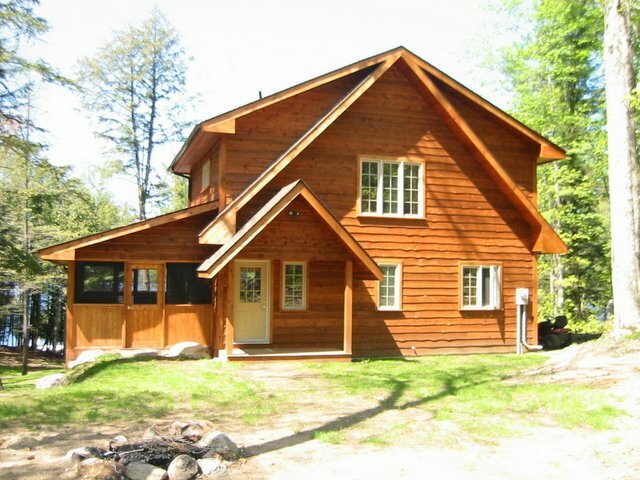 Come and enjoy the cottage life with the family! 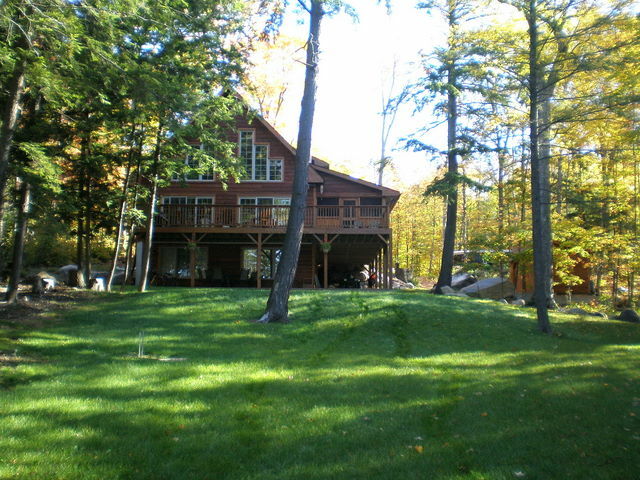 LOCATION:About 3hrs north of Toronto. 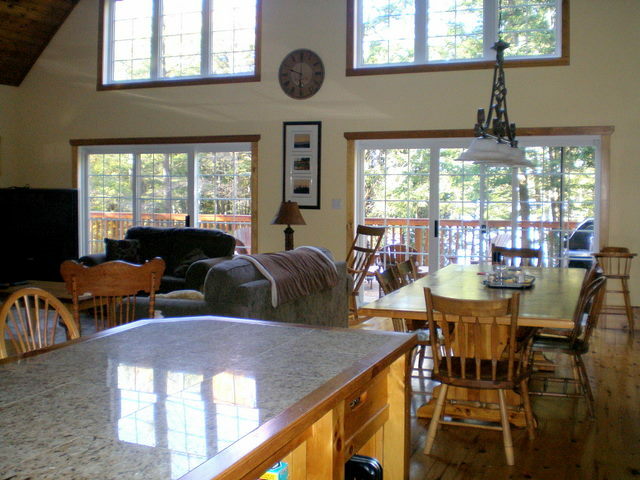 Located about 10 min's from the small village of Ahmic Harbour and 20 min's from Magnetewan, for some groceries, dining and LCBO with the town of Burk's Falls about 20 min's away for more amenities. 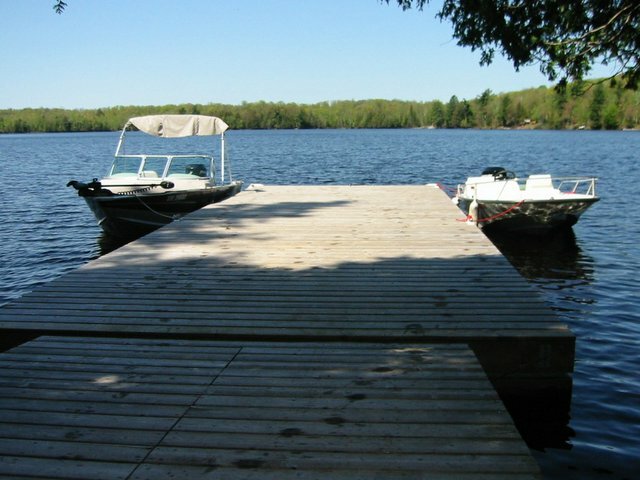 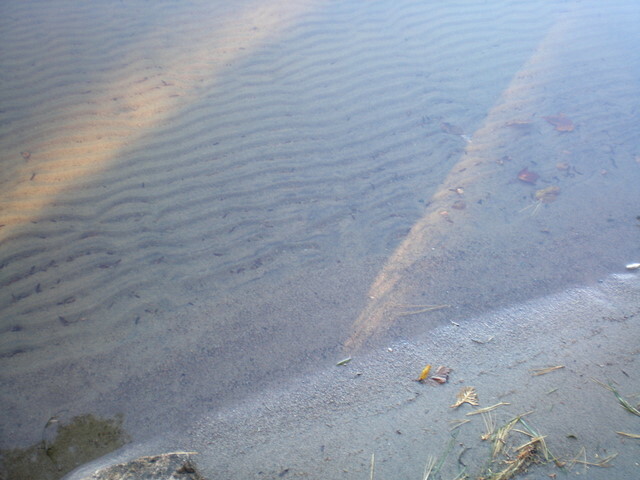 Connected to Ahmic Lake and Lake Cecebe for over 40 miles of boating. 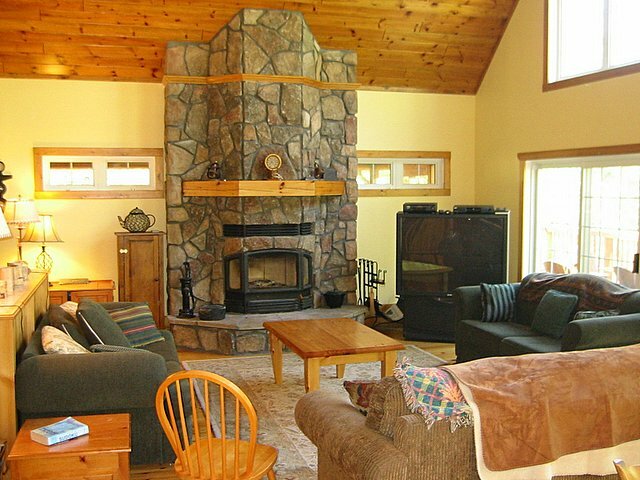 Pet with conditions (1 dog or 1 cat), no smoking, maximum number of occupants is 12, bring own linens and towels, bring own drinking water, noise restriction after 11 PM.